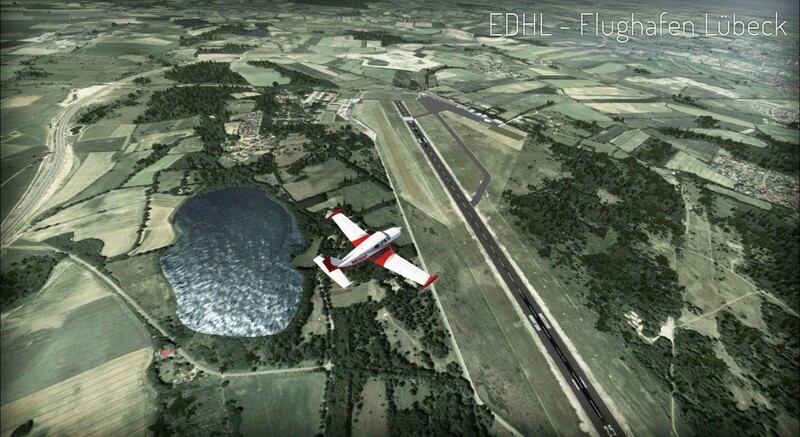 Aerosoft VFR Germany 2. Northern Germany covered with photoscenery, autogen and objects. It is not perfect, but it is good. I like to fly over this scenery. What this add-on scenery covers? VFR Germany 2 is a complex scenery that gives us photoscenery background, autogen and 3d objects. One could say that that is all that we need during flight. Those who use default airports will find them upgraded – so that runways, aprons and taxiways follow the photo-background underneath. 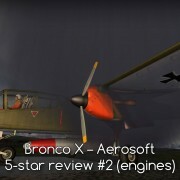 It is especially important in abandoned military air bases neglected by developers of FSX. As usually with photosceneries – we get a single season (spring/summer), day-only scenery. Texture lacks night lightning – probably Night Environment Germany (also Aerosoft’s) would be a good fit if you fly at night. Scenery covers Northern German states – Meklemburg Vorpommern, Schleswig-Holstein, Hamburg, Bremen and most of Lower Saxony. 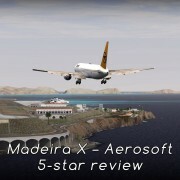 The scenery that I tested came from Aerosoft Online Store – you can buy it here » It’s 49,46 Euro for download version. Boxed product costs about the same + shipment. You can also buy 4 part bundle of all VFR Germany sceneries for 150 Euro + shipment – that way you will get one of them for free. Bundle is only available in boxed version. VFR Germany uses standard Aerosoft installer – you will need to enter your email and key during installation. You can find your key in order confirmation email. Usually I do not rate handbooks. What can be rated here? There is a description of installer, few facts about the scenery and credits. Here we have also instructions on how to set up our FSX so it runs properly. What I really like about this handbook is that Aerosoft included FAQ section explaining several issues that would send users to forums or websites. That is good. What is even better – the manual has some kind of “ideas” chapter. If you are not sure how the scenery can be used to the greatest advantage – just take a look. If you like gliders – go to page 19. Prefer jet fighters? Page 20. Police helicopters – p. 22. 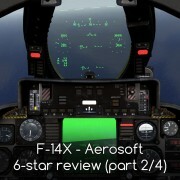 This flight ideas / scenarios are prepared for all kinds of virtual pilots. Nicely done! I spent most time over VFR Germany flying VFR in Piper Comanche. I took some mid-level journeys in several aircraft and checked how the scenery looks like from high altitude – flying Boeing 777 eleven kilometers above ground. The scenery was always pleasant. Photoscenery developers need to make a decision on how to adjust image colors. 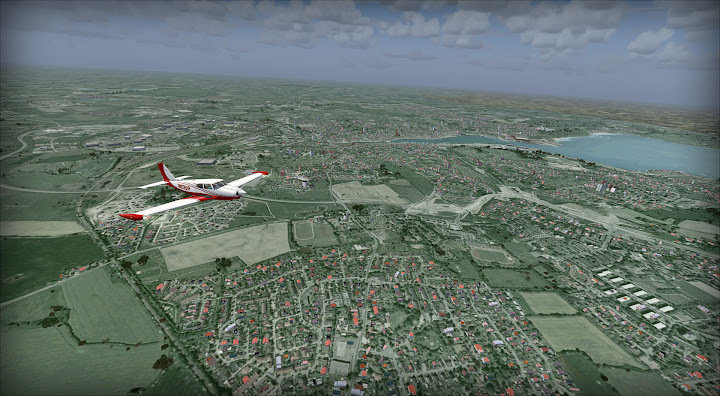 I classify VFR Germany as “rainy” scenery – it look best when I fly under low clouds completely covering the sky. If it rains – the scenery is perfect. On the other hand – it looks a little desaturated or washed in bright sunlight when the weather is good. As far as I know – there is no way to make scenery adjustable to weather so we have to live with a single color setting. I am not criticizing this choice. Just informing you on what I noticed. I am fine with it’s tones. It is great! Every photoscenery looks best from far away and from 6 kilometers or more (from 20000 ft or more) 1m/px looks perfect. Nice, good or very good. I flown a lot of VFR flights over VFR Germany 2 at altitudes of 500ft, 1000ft, 2500ft and 6500 feet. The higher you go – the better result you will have but the range between 1500-2500 is my favorite. Small objects like cars are just spots but from this altitude – they are quite ok. Roads and motorways are sharp and distinct but still they feel like they are very close. As in every photoscenery I flown over – there is a noticeable difference in picture quality in some places. Fortunately – differences in this scenery are smaller then in other ones I have. And I do not remember any places that would strike me as bad – there are no areas using low quality photos (it happened in some products of other publishers I have!). In Pros & Cons section I said that autogen is both something I like and something that could be improved. Clearly VFR Germany was developed a few years ago when autogen placing techniques have not been as advanced as today. For me – the tree placement is just too sparse. On the other hand – placement is precise. Trees stand where they should. Buildings follow urban background. I could not find any serious mistakes. The only problem is the density – tens of trees in one square kilometer… it is just not enough – especially if we compare it with add-ons like ORBX FTX sceneries. I mentioned the tree placement because it is even (always sparse) everywhere in the scenery. Buildings are places slightly different. Usually – urban landscape is quite dense. Maybe not ORBX-Scotland-Edinburgh-dense but it is acceptable. Unfortunately I noticed cities or parts of cities that are missing autogen. It happens often in suburbs of large cities. I presume (it is a pure speculation) that this autogen was removed to improve performance of some cities. I will get back to it later in part addressing scenery performance. I traveled through Germany several times and I remember huge number of wind turbines everywhere along the motorways. They place them wherever winds are strong enough. While flying over this scenery – I feel exactly the same. It’s even difficult to use this wind turbines to navigate as one farm can be confused with the other – there are so many of them. 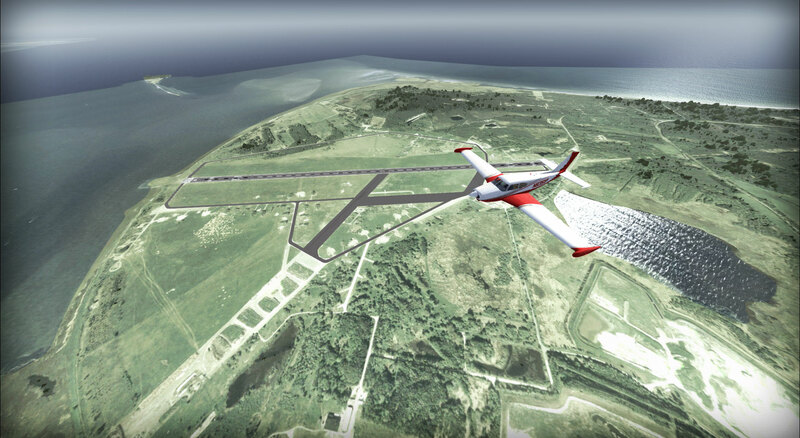 3d objects in VFR Germany are not limited to wind farms. 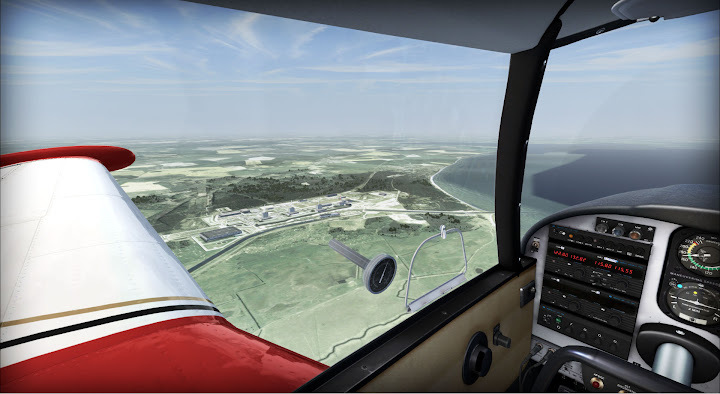 You will find bridges, factories, chimneys and antenna masts – all this objects are placed correctly and you can use them while navigating with real VFR chart in your hand. You should even consider using additional maps – as some objects are missing from aviation charts but can be found elsewhere. I often use road map of Germany to navigate. I appreciate the situation when I am able to plan my waypoint over some kind of Werke and I am pretty sure that this factory will be included in this scenery. It is a standard practice that photoscenery publishers adjust runways and taxiways to match their images. I mention it only in case you wondered. 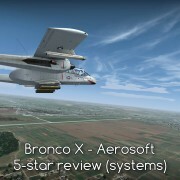 Aerosoft also included several airports, airfields or air bases that Microsoft omitted in their default scenery. You will find additional private or small airfields and some abandoned air bases (mostly former East German Air Force bases – currently in private hands). Please download kmz file form the product page to see the list of this airports in Google Earth. Performance is… very good… most of the time. I have my frames locked at 30/s and it usually does not drop during the whole flight from take-off till landing. There are unfortunately some places that generate high load on my PC. On approach to Kiel airport the framerate dropped to around 15. It may be caused by objects in the city (there are lots of them). But Kiel is the exception. Usually, even over large cities I get good performance. In the manual you can read that autogen adjustments should be set accordingly to your PC specs and adjusted by some trial and error. Dense setting allows me to fly. Very dense causes OOMs. I have no idea how “very dense” can work for anyone. I did not see a significant difference between both settings. I flown my test with this option set to “dense”. 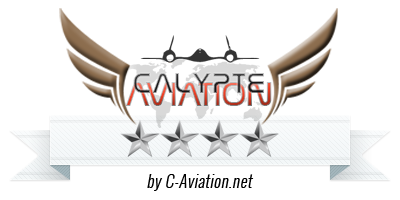 Rating – 4****. 5 minus 1 for mistakes like Kiel and autogen OOMs with “very dense” setting. This scenery is a few years old and some features need updating but as a whole it is not outdated. On the contrary – it’s a very valuable product to everyone who flies over Northern Germany. To be honest – I can not imagine flying over Germany without this scenery! This scenery costs 50 Euro. It is not cheap. It is just what you need to pay for such a product. 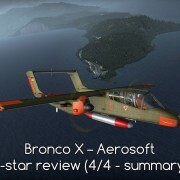 VFR Germany 2 scenery was provided for the review by Aerosoft.